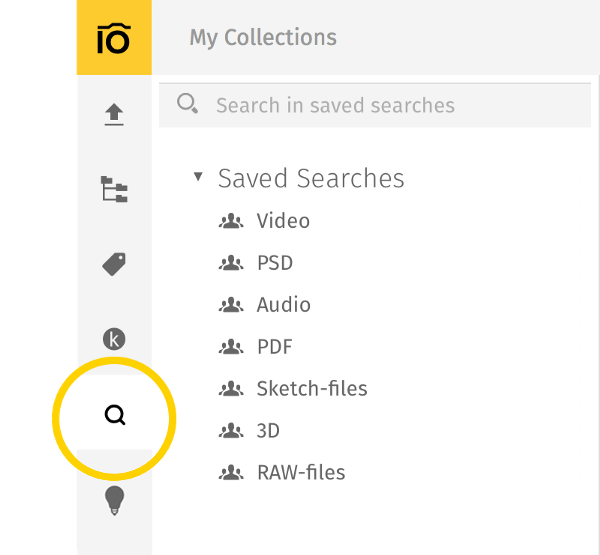 This functionality helps you save your previous search results. In this way, you won't waste your time searching for the same thing over and over again. To do so, click Save this Search at the bottom of the search dropdown menu. You can do it either before you start search or after you have retrieved the necessary assets, whatever is more convenient. After that you are supposed to give a name to this saved search, so that you can easily identify it later. By default, the saved searches you create are visible to your teammates, i.e. the yellow box "Share with my team" is checked. To make the saved search visible to you alone, simply uncheck this box. Where can I find my Saved Searches? Saved Searches can be retrieved by clicking on the magnifying glass icon in the very left panel of the main screen. By clicking on this icon, you get immediate access to the whole tree of your saved searches. 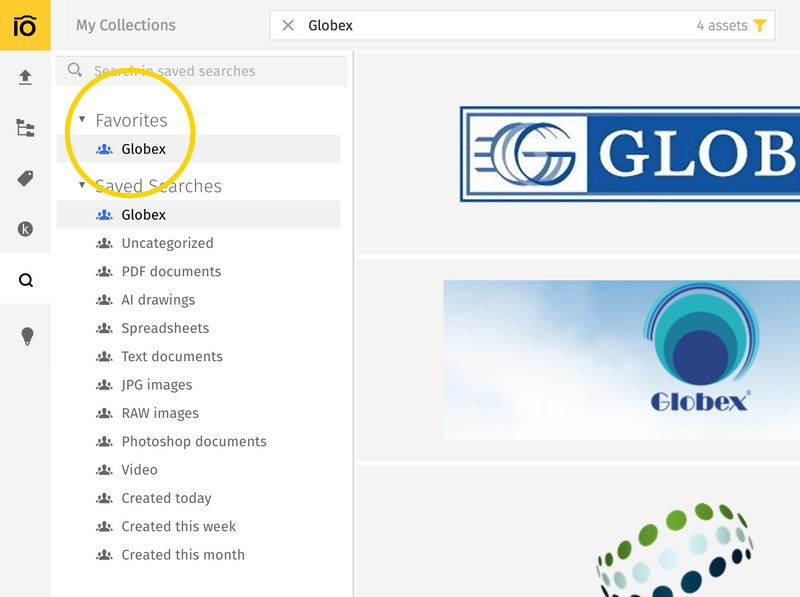 You can organize your Saved Searches by selecting Favorite Saved Searches. In the same way as you deal with collections, you can hit the “star” button to give a star status to your selected items. Favorite Saved Searches appear on top of the tree, which makes them easy to find.